Sabolciu gypsy village for lunch at McDonalds. It was Boby and Beni’s first time to eat at McDonalds! It was awesome to treat them to lunch and see them experience eating a Big Mac for the first time. Wow, the things we take for granted! Boby and Beni are two of our first high school students from the village and we are very proud of them for going back to school. They are both doing very well in school and getting very good grades. Kim did a Skype call with her husband Michael while we were at McDonalds. Both Kim and her husband were in Romania a year and a half ago so a lot of the kids know them. Kim’s husband couldn’t come on this trip because it was too last minute so he couldn’t get the time off from work but they will both come back in December of this year. Michael is a pilot and at the time we did the Skype call he was at the airport so he was able to show us a couple of the planes from the airport. 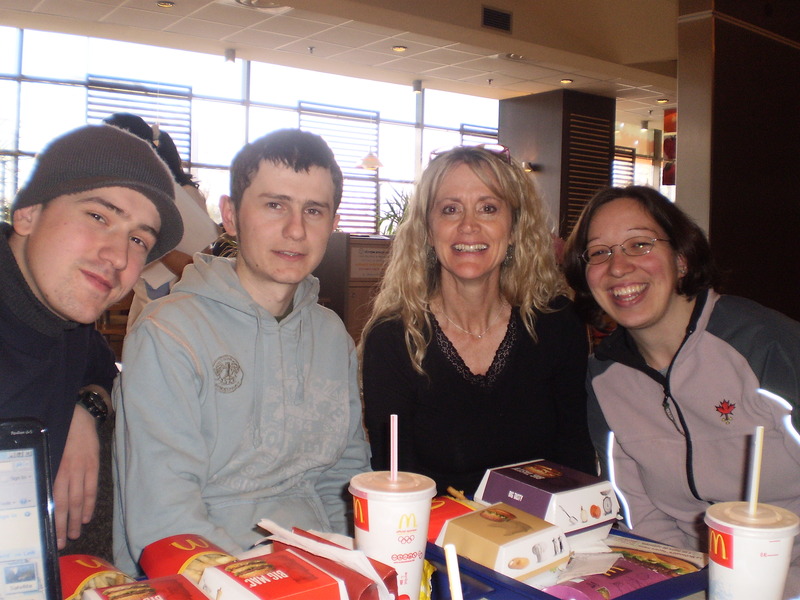 Last time Michael was in Romania Boby and Beni really connected with him so they were really glad to talk to him on Skype today. such a great quality time with them as we spent time together. Again we are so proud of them for going back to school and doing so well in high school. What great examples they are to the rest of the children in the village! I really do believe that God has some great things in store for the community at the Sabolciu gypsy village!